With almost a decade of junior resource-focused journalism under her belt, Gwen Preston launched Resource Maven. Preston watches the wires, talks to her network and analyzes economics to identify resource news that matters and figure out how to profit. She focuses on early-stage exploration and development stories. Preston has been interviewed on CBC and in Financial Post. 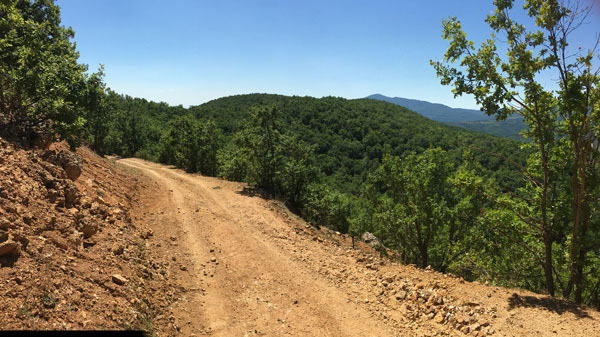 Resource Maven Gwen Preston profiles a company that recently signed a key deal with its partner, a local mining company, that Preston believes puts it years of work and millions of dollars ahead as it pursues its goal of finding and developing gold in Bulgaria. Investors are more bullish on commodities than they have been for a long time. Gwen Preston, founder and editor of The Resource Maven newsletter, discusses trends with commodities and three companies that are on her radar. Few things can move a stock as quickly as merger and acquisition talk. Resource Maven's Gwen Preston outlines three companies that majors may be eyeing. "There's so much to test at GBR's Dixie." "GBR remains a story with a lot of opportunity ahead." "Already the veins at MAG's Juanicipio carry a phenomenal resource." "Five reconnaissance holes at GBR's Dixie all hit mineralization." "Of 38 holes in GBR's Hinge, 22 contained gold in excess of 10 g/t." "AUAU should continue to pepper the market with news." "With drilling underway, the CBR investment thesis is back on track." "Drilling has begun on AUAU's Monitor Hills project in Nevada." "ELY agreed to sell the War Eagle project to Integra Resources." "CBR began drilling targets identified last year at Cuiu Cuiu." "AUAU optioned out three projects from its southwestern U.S. portfolio." "GBR's hole 14 encountered 1,602.73 g/t gold over 0.7m at 150m depth." "ABN delivered encouraging results from its Justin project." "ELY's assets should make it a great lever on gold if prices head up." "GBR's news significantly strengthens the geologic story at Dixie." "GBR hit mineralization in the Dixie Limb zone thought to be barren." "Trenching uncovered a new high-grade gold target at CBR's Cuiu Cuiu." "ABN's management still sees potential at North Boundary." "MAG will soon access the Valdecanas system at Juanicipio in full." "ELY is selling its Gold Rock claim extension to Fiore for $10,277." "TXR is raising $1.5M in a nonbrokered private placement." "ELY added three new properties to its already large portfolio." "I'm entering ABN once again; the set-up is just too good." "TXR will get back to drilling this winter at Yellowknife City." "CBR will raise up to $2M by issuing 8M shares priced at $0.25/share." "GBR is adding to its coffers with a bought-deal private placement." "ELY has made a couple moves of note recently." "Late in the season, ABN plied Forrest Kerr with 36 holes over 9,900m." 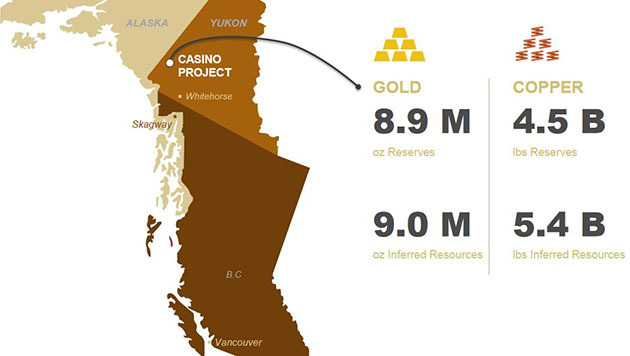 "All targets at GBR's Dixie fit the accepted model for Red Lake gold." "The drills have moved to AUAU's Hughes Canyon project." "At ABN's Forrest Kerr, hole 13 intersected 23.3 g/t gold over 2m." "TXR grew Yellowknife by acquiring the Tom mine and Sickle properties." "ABN's financing raised $950K via the placement of common shares." "MAG/Fresnillo should release the Juanicipio feasibility study shortly." "AUAU's Original zone mineralization extends to the west and south." "Drills have intersected mineralization south of ABN's North Boundary." "AUAU has begun drilling its Red Hills project in Nevada." "CBR's latest discovery extends the Pau de Merenda-Central corridor." "ABN is taking advantage of its share price strength to raise $4M." "High-grade gold samples continue to flow in from CBR's Cuiu Cuiu." "Surface work continues on TXR's Yellowknife City gold project." "High-grade gold hits are the order of the day at CBR's Cuiu Cuiu." "Now, AUAU could fund an aggressive discovery drill hole campaign." "CBR defined a gold-bearing area of at least 4 km at Central." "CBR is working to identify the best Cuiu Cuiu targets for drilling." "CBR's updated resource estimate is out; it's good." "ABN has cash in the bank and a clear exploration plan for the summer." "The recovery is starting to take shape at R's Santa Rosa gold mine." "With the $3M, TXR will keep looking for a Yellowknife gold deposit." "CBR's flagship Cuiu Cuiu project already hosts 1.3 Moz gold." "TXR is in a really interesting position to do well in 2018." "There are some interesting ideas developing up at TXR's Yellowknife." "CGT announced good visual results from 14 holes into Bolo in Nevada." "LGD is doing exactly what it said it would do at Goldstrike." "NXE belongs in every resource investor's portfolio." "Hole 295 at CGT's Montagne d'Or returned 41m grading 0.92 g/t gold." "The completed feasibility study on Juanicipio will revalue MAG." "CGT is spinning its U.S. projects out into a new company." "TXR's Yellowknife City has many good targets and interesting results." "R is a Buy at current levels." "The Juanicipio technical study is a likely positive catalyst for MAG." "LGD is getting a third project, Black Pine, ready for prime time." "Two zones at TXR's Yellowknife are exciting: Angel and Duck Lake." "MAG provides strong leverage to silver, something a subset of metals investors seek because silver often outperforms gold in a bull market." 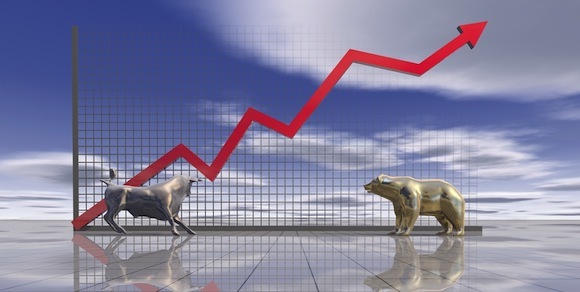 "The slide in R's share price this month is a buying opportunity." "I have spent a fair bit of time looking at MAG and believe it's a Buy." "TXR has more than $4M, enough to fund a summer exploration program." "Even if all-in costs creep up, the baseline was so low at US$671 per oz. that R's Santa Rosa mine should make very good money regardless." "Eldorado's acquisition gives ICG an EV of $103/resource ounce." "TXR announced results from 22 Yellowknife drill holes; all hit gold."